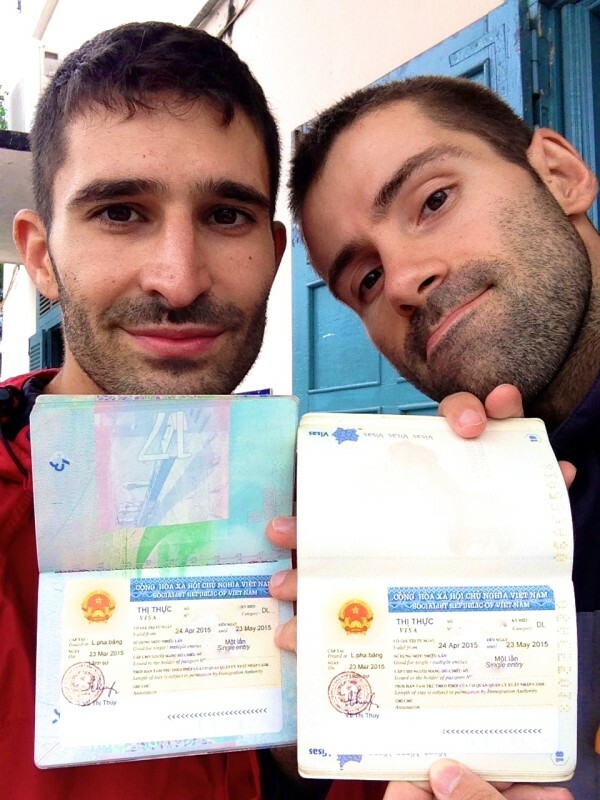 While visiting Laos in March 2015, we discovered that we would need a visa for our future travels in Vietnam as we would be staying there more than 15 days. As of July 2015, the Vietnamese government announced that visitors from UK, Germany, France, Italy and Spain will be exempt from a visa on arrival if their stay is up to 15 days. As this did not apply to us, we had to get our visas in Luang Prabang (North Laos), where apparently it's one of the cheapest places to get your Vietnamese visa compared to other places in Southeast Asia like Bangkok or Vientiane. If you would like to avoid the hassle of applying for the visa yourself, you can do it online by using the services of an agent such as www.visa-vietnam.com, which will take care of the whole application for you. Where is the Vietnamese Embassy in Luang Prabang? 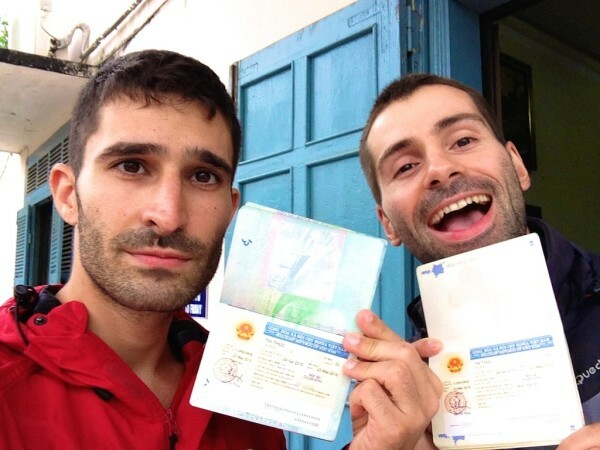 This was the easiest visa application we have done to date. The only thing we needed was a photo (obviously money and passport as well!). At the Embassy, we completed the very simple application form, paid the $60 dollar fee each handed our passport and photo and given a receipt to return in 3 working days. You can pay more to get it sooner, but we had a whole week in Luang Prabang. 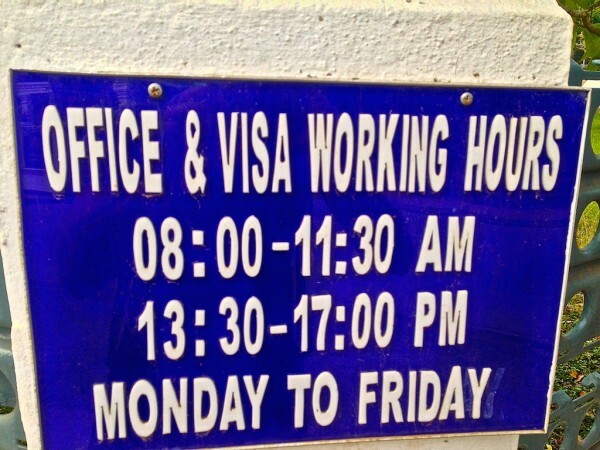 The opening hours of The Embassy are 8-11:30am and 1:30-5pm Monday to Friday. We went at 8am on a Monday morning expecting to queue for ages as we had done for our visa for Myanmar in Bangkok and our visa for India in Kathmandu. In fact the Vietnamese Embassy in Luang Prabang was not busy at all. We were in and out in 30 minutes. Our second visit was in the afternoon to collect our passports. This was very simple. No queue, no fuss and very quick. Taking our selfie took longer then picking up the visa. Thanks for this helpful article guys. Has anybody information about what you need for the application form (travel plan, flight or anything in and out, hotel bookings?). 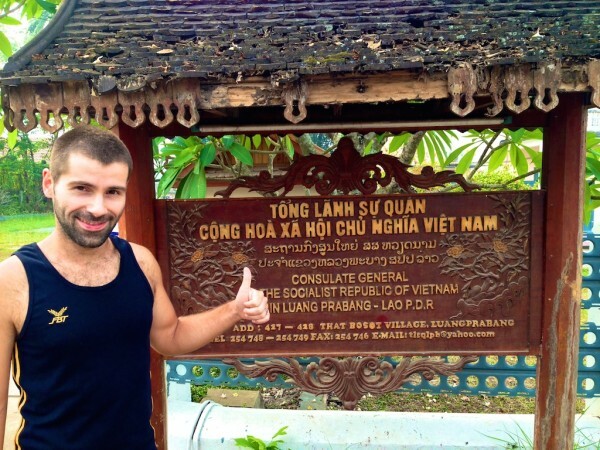 I want to go from Laos to Vietnam by land…does anybody know if its possible with the Visa I get at the embassy? Some people told me you need a special visa for that (which sounds weird but there are a lot of weird things going on so…)?. Thanks already! Thank you guys so much for making this easier! Small update: The Vietnamese consulate has moved to photisalath road. Near mekong river. Still an easy short walk from the centre. Google maps will show the correct place. It is possible to get a single entry/double entry for 30 or 90 days. Processing on the same day is possible if you go between 8 and 10 in the morning. You can also choose a one office day option, or the 3 office day option. Prices vary, we got 90 days single entry processing time 1 day for 95 dollars. The cheapest option is now 55 dollars for a single entry 30 day visa processed in 3 office days. Thx for the info Tilly! Is there an option for 48 hour pick ups (single entry 30 day visa)? Do you know how much? Did the prices have changed, or the price depends on a country? Did you also have to pay a stamping fee at the border? 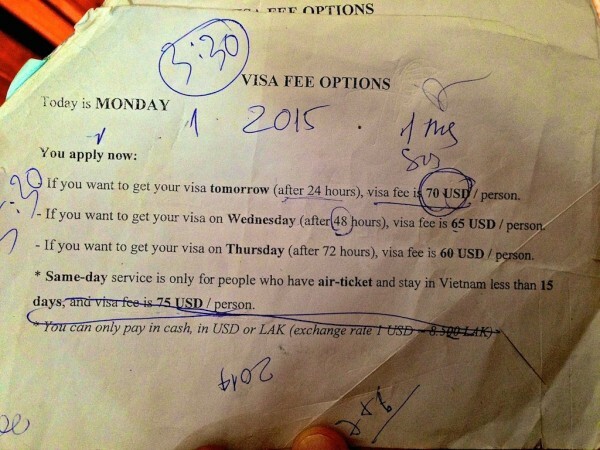 Our hostel in Vientiane is only charging me 30 dollars for a visa and people are saying online e its about 60 dollars? No stamping fee for us at the border! Hey just wondering where you guys went to get the photo for the visa? You guys are so awesome and i hope that i will see you again someday. When you invited me to sit with you in Thailand on New Years eve it was the best new years in my life. I will never forget you two. So you pay 60 dolars for a 30 days visa or more? Thank you! I am now in Luang Prabang, will be heading to Vietnam soon where we would like to stay more than a month. Around two. The most we managed to get was 30 days. I just wanted to say, thanks so much for this post! You’ve calmed my nerves after I had a meltdown over getting my visa for Vietnam sorted. Love your blog!